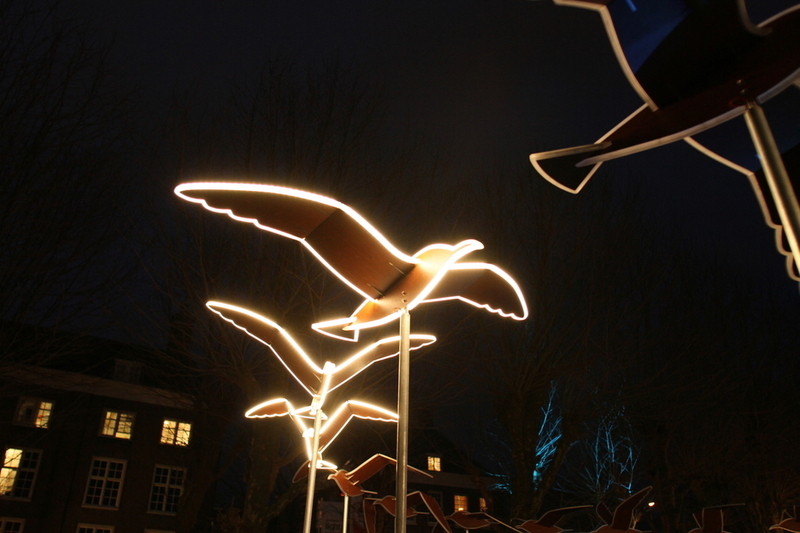 Birds Fly Around With You (2015) is an interactive light sculpture which will enchant young and old. A visitor who enters the circle will activate the magical machine. The birds illuminate one by one, giving the illusion that they are flying. The more visitors come into the circle, the more birds will fly around. The Japanese motion designer Masamichi Shimada is interested in controlling the light. With his interactive artworks, he attempts not only to exhibit beautiful images but also to enhance the life of the viewer. His motto is “creativity to make smiles”. Next to this he creates work using illustrations and stop motion animations.